The Maize Maze Association (MMA) is the official body representing maize mazes in the UK and Ireland. It was established in 2009 to help maize maze operators grow better mazes and improve the maize maze experience for all visitors. Each year the Maize Maze Association holds a conference where guest speakers present ideas for improving maize maze businesses and offer useful advice on making your maize maze a success. The annual conference also provides a fantastic networking opportunity to meet with maize maze operators and associated businesses. The website www.maize-maze.com is the public face of the MMA providing a single point of reference for the maize maze industry. It has a comprehensive listing of all Maize Maze Association member's mazes and points potential visitors to their nearest maize mazes. If you are maze operator and would like join the Maize Maze Association and be featured on this website please contact us via the contact us page. The Maize Maze Association is grateful to the following companies and organisations who through their membership support the MMA objectives. Marketing & PR agency helping maize mazes, farm parks and tourist attractions grow. Maze designers, responsible for creating many of the maize mazes featured on this website. 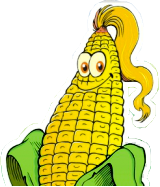 Maze designers, American based company designing maize mazes (corn mazes) in the States and in the UK. Suppliers of Climbing Walls, the latest Sky Trail High Ropes Courses, Zip Lines and other family attractions. Specialist provider of children's natural outdoor wooden play equipment and play spaces. Design, manufacture and install play equipment for both indoor and outdoor play areas. Online ticketing solutions for many visitor attractions and events including a number of Maize Mazes. Chartered Surveyors and diversification specialists advising on all aspects of farm and rural diversification. Suppliers of the amazing Jumping Pillow, Kangaroo Jumper and other leisure products. Also video production. NGF Play Ltd is a family run business offering the biggest choice of both commercial and residential play equipment. Mystery shopping and customer service training, helping retailers and tourist attractions improve their customer service.